Chase has several credit cards designed especially for businesses. 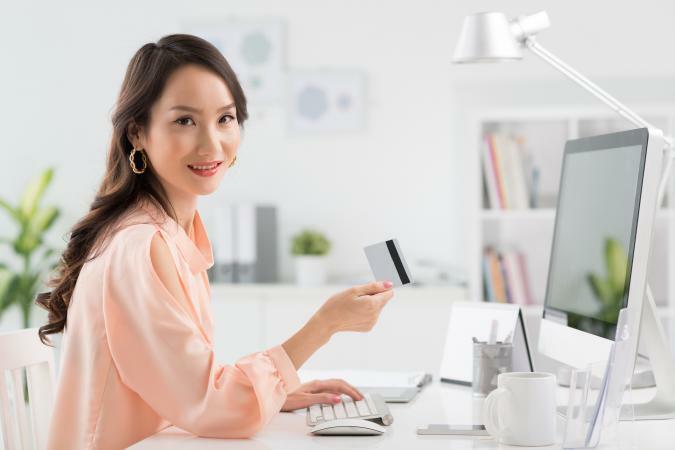 Each account offers generous rewards programs that can help entrepreneurs and other professionals make the most of their credit card purchases. The Chase Ink Business Preferred credit card has an annual fee of $95. The annual percentage rate (APR) varies based on creditworthiness. The lowest APR is 17.24 percent and the highest is 22.24 percent. It does not have any foreign transaction fees and includes cell phone protection and trip cancellation/interruption insurance. NerdWallet praises this card for offering "high rewards for core spending." The site also suggests that this card may be a good option for "businesses with heavy travel expenses." Earn a $300 cash back bonus when you open a new account and spend $3,000 within the first three months. Get a new account bonus of 80,000 points when you use your card to make $5,000 in purchases within the first three months. Earn between one and three points for each dollar spent, and your earned points never expire as long as you keep your account open. For the first $150,000 charged to the card each year, you will get three points per dollar for spending on travel, shipping, telecommunications services (internet, cable, and telephone), social media advertising, and search engine optimization. You will earn one point per dollar for all other purchases. It's easy to redeem your rewards. Points transfer to the top frequent traveler loyalty programs on a one-to-one basis. Plus, when you redeem your points for travel using Chase Ultimate Rewards, the value of your points will be boosted by 25 percent. Even though this card offers terrific travel rewards, you don't have to use your points that way. You can opt to redeem them for things like gift cards, cash back, and more. The Chase Ink Business Cash card is a great option for business owners who don't travel frequently. This account has no annual fee, and it is also interest-free for the first 12 months. The APR you pay after the first year will vary based on your credit history. The lowest APR is 14.49 percent, and it can go as high as 20.49 percent. ValuePenguin describes this card as "ideal for companies with less than $25,000 in spending per year, with no significant travel expenses." That is because rewards earnings are highest for the first $25,000 of purchases and don't convert to frequent traveler programs. Additionally, this card has a foreign transaction fee of 3 percent. Earn between 1 and 5 percent cash back for each dollar spent. There is no limit to the total amount of cash back you can earn, but the highest percentages are limited to the first $25,000 of spending each year. For the first $25,000 you spend in a year, you'll earn 5 percent cash back on purchases in the telecommunications (internet, telephone, and cable) category and at office supply retailers. For the first $25,000 you spend in a year, you'll earn 2 percent cash back on purchases made at restaurants and gas stations. Earn 1 percent cash back on the rest of your purchases. Chase partners with United Airlines, Southwest Airlines, and Marriott to offer branded cards that provide outstanding rewards to frequent travelers who participate in those brands' loyalty programs. These cards all offer annual percentage rates (APR) that vary between 17.24 percent and 22.24 percent, depending on the account holders' credit history. None of them have foreign transaction fees and they all offer some level of travel protection coverage, likely because they are geared toward the interests of business owners who travel frequently. The MileagePlus Explorer Business credit card account has an annual fee of $95, which is waived for the first year. The Points Guy praises this card for having a great sign-up bonus as well as "useful ongoing benefits." Cardholders earn two MileagePlus miles for every dollar spent purchasing United plane tickets. You will also earn two miles per dollar for spending in gas stations, restaurants, and at office supply retailers, and one mile per dollar for other purchases. When traveling, you'll receive priority boarding and a free checked bag. Every year, you'll get two United Club passes. In years that you spend at least $25,000 on the card, you'll get a bonus of 25,000 miles. When you open a new account, you will receive a bonus of 50,000 miles if you spend at least $5,000 within the first three months. The Southwest Rapid Rewards Premier Business card has a $99 annual fee, and it is not waived for the first year. Instead, it will be charged on your first statement. Fundera Ledger recommends this card for people who "fly Southwest pretty much exclusively" and are already active Rapid Rewards miles earners. You will receive two RapidRewards miles for every dollar you spend on tickets for Southwest flights and one mile per dollar for all other purchases. 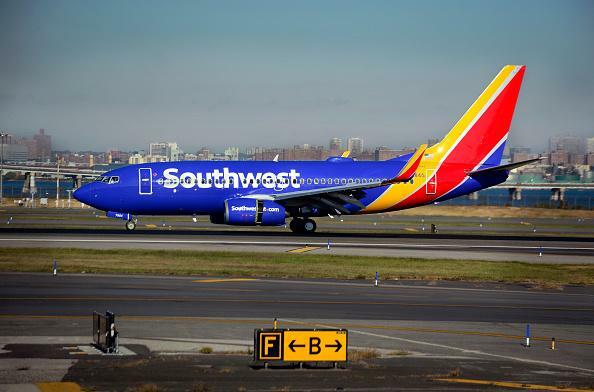 If you make at least $3,000 in purchases within the first three months of opening your Southwest credit card account, you will get 60,000 bonus miles. You will also receive 6,000 bonus points following the anniversary date of your account opening. If you spend a lot of time in hotels and enjoy Marriott or Starwood properties, the Marriott Rewards Premier Business account can be a great asset. It has an annual fee of $99, which is waived for the first year. When you make purchases on the card, you will earn Marriott Rewards points. CreditCards.com describes this account as "one of the most valuable hotel cards" available. You'll get five points per dollar for purchases made at Marriott and Starwood hotel properties. You'll earn two points per dollar when purchasing airline tickets (assuming you purchase from the airline and not a third party), renting cars, making restaurant purchases, buying items from office supply stores, or making telecommunications purchases. Enjoy one free night stay at category 1-5 hotels every year after your first year. In any year that you make at least $50,000 purchases with the card, you'll automatically be awarded Marriott "Gold Elite" status. If you spend at least $3,000 using your card within the first three months of opening your account, you will receive 75,000 bonus points. All the Chase business accounts include a variety of additional beneficial features. For example, the accounts all offer zero liability for unauthorized charges and fraud protection. They also offer purchase protection coverage for 120 days and automatically extend the warranty on certain products manufactured by U.S. companies.